Trust me when I say, mascara is absolutely essential as part of your daily beauty routine. And an eyelash curler, of course. Don't believe me? Check out all my makeup tutorials and see the before-and-after's for yourself. Curled and enhanced lashes look feminine, flattering, and really help to open up your eyes. 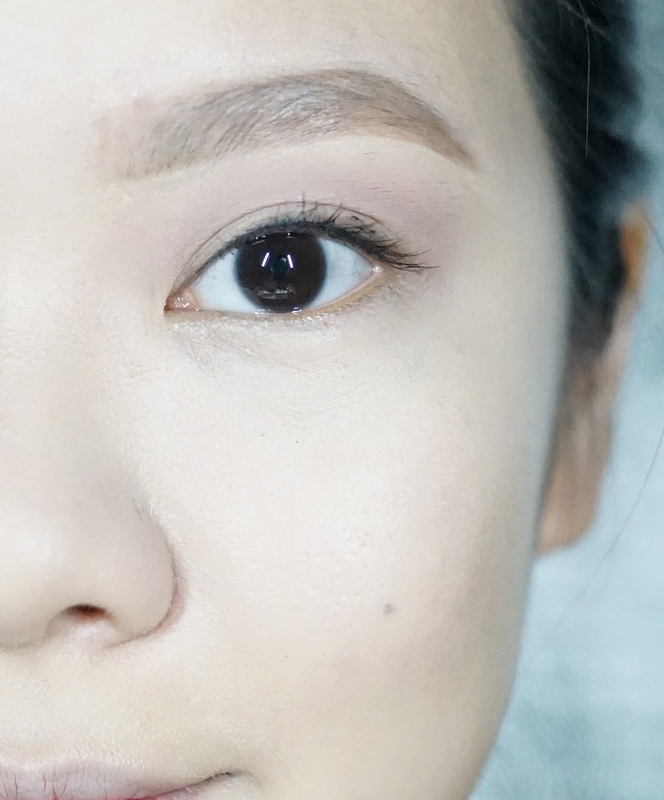 Now that I've convinced you (I hope) that mascara is an important part of your beauty routine, here's a review of a mascara to help you decide which one is best suited for your eyelashes. Zahara Cosmetics is a Singaporean-based makeup line that's halal and cruelty free. 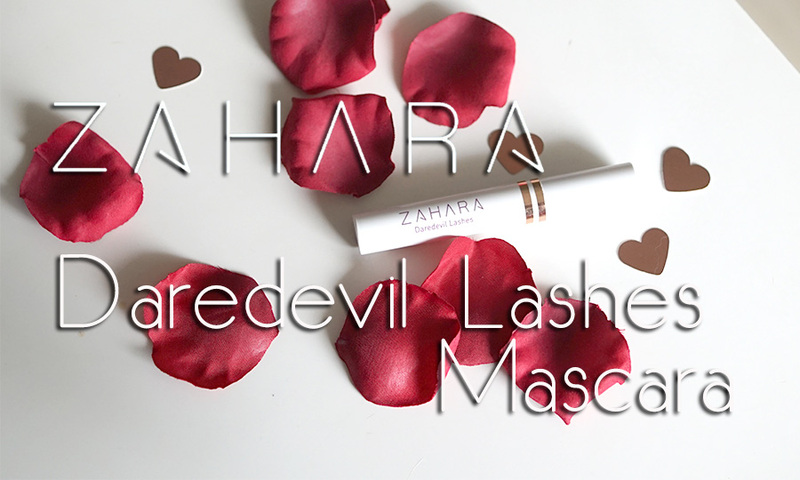 They make some gorgeous halal liquid lipsticks, and have now branched out into mascaras with their Daredevil Lashes mascara, which launched on the 8th of September. The Daredevil Lashes mascara is made using only halal ingredients, and is designed to lift and thicken your lashes. It comes with a massive brush wand meant to catch even the smallest of lashes. Simple and elegant, the white bottle with gorgeous rose gold accents is sturdy, and closes securely so you're not going to find splotches of black all over your makeup kit or handbag. The wand is massive, and picks up a lot of product. The product itself is a beautiful jet black, with a lovely matte finish. 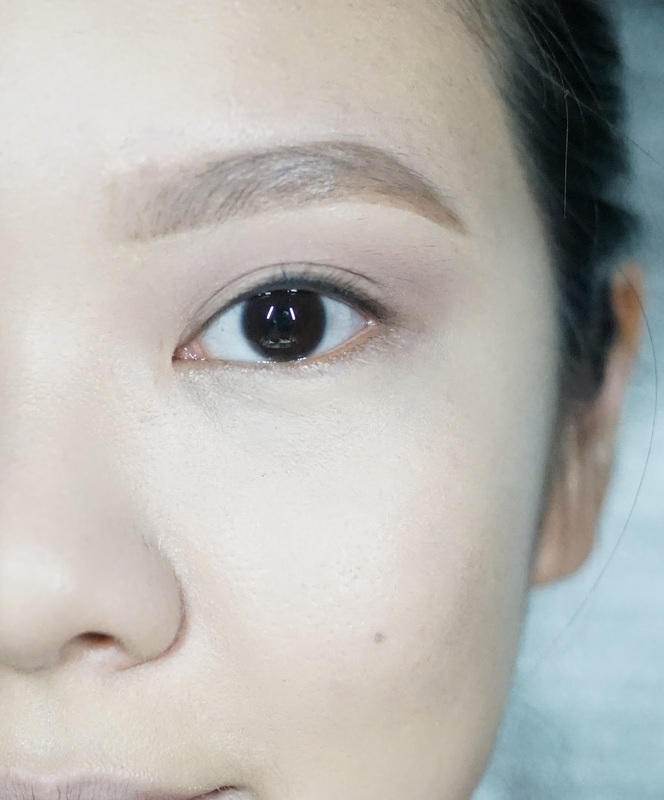 Jet blacks (instead of charcoal blacks which look a little more grey) are great because they really bring out your lashes and make them look nice and thick and voluminous, and you always want to look for a nice matte finish, so your lashes look natural - no one wants to walk around with shiny, plasticky-looking lashes! I love the way this mascara enhances the lashes! It never clumps, so you're not going to get that 'Twiggy'/spidery look to your lashes. Instead, they always look natural, and beautifully enhanced. By 'enhanced', I mean that my lashes look longer and thicker, and they're always very beautifully fanned out. The product lasts well on the lashes - I find that some mascaras break down and start to come off in tiny little grains on my lower lids, but that never happened with this mascara. My lashes never feel crusty or dry, and are still soft to the touch. Even though the product is not waterproof (that I know of), I find that it stays on very well, with no smudging or melting at all. One thing about this mascara that didn't do it for me was the fact that it couldn't hold the curl in my lashes. After curling my lashes, I applied this mascara and found that my lashes started to lose their curl slightly. Disclaimer: my lashes are stick straight and require a lot of help (as you can see in the picture below), and very few mascaras are actually able to maintain the curl in my lashes in particular, so unless you've got lashes like mine, you shouldn't take this part of the review into account when deciding if you should get this mascara. My natural lashes, no product or curling. My natural lashes, curled with an eyelash curler. The big brush was a plus and also, a minus for me. On the one hand, it separated my lashes and deposited product really well and anyone would absolutely love the finished result. 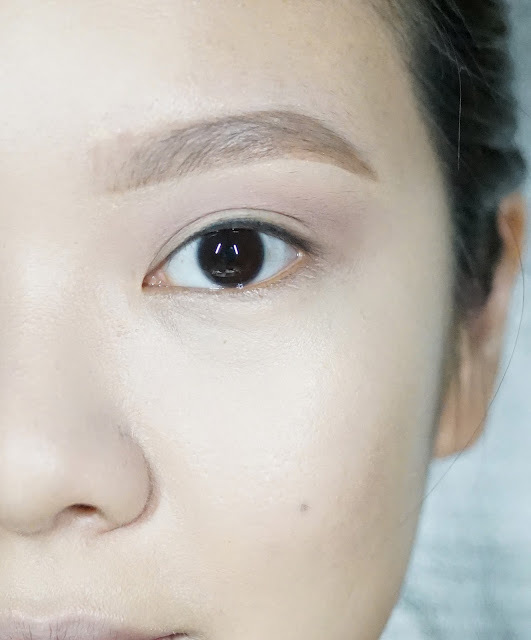 But on the other hand, I have small eyes, and the brush would, well, brush (haha) against my eyelids and cause a few smudges, and it was a little too big to reach the inner and outer corners of my eyes. Lashes curled, Zahara Cosmetics Daredevil Lashes Mascara applied. No eyeliner. Overall, I would recommend this mascara for anyone who loves a natural finish, and also wants to be able to build their mascara to achieve a more dramatic finish without clumping problems. The only people I wouldn't recommend it for are those with small eyes and extremely stick-straight lashes that won't hold a curl - in that case, you're gonna need a little bit more help. Try a waterproof mascara instead! 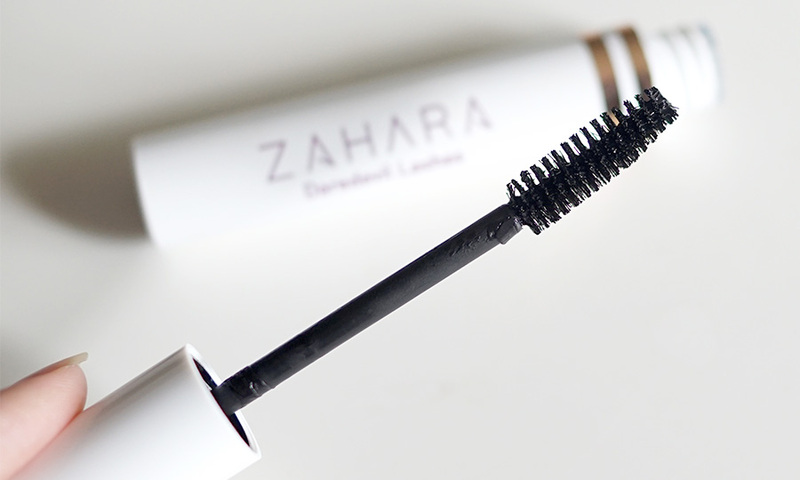 The Zahara Cosmetics Daredevil Lashes Mascara retails for SGD$22 and launched on the 8th of September, 2017. For more information, head on over to the Zahara Cosmetics website.